What a vast disconnect exists between presidential aspirations for children and experiences to encourage discovery and exploration that are often omitted from our early childhood programs. It is so easy to tap into the natural curiosity of young children and to turn 5 and 6 year olds on to the excitement of scientific discoveries. Unfortunately, it is also possible to give them a negative association with science. My kindergarten children were scheduled for a weekly Science class. Each Wednesday, they emitted a collective groan when I told them that it was time to walk across the corridor to the science room. This confused me since they loved spending time in the many science-based centers during our choice time. They were eager to investigate what happened after they mixed up a bubble-solution and poured it into the water-play tub. They figured out how to create their own magnets and then constructed trails of paper clip magnet chains to pull around the classroom. They were natural scientists and yet, here they were, complaining about a class that should have been a highlight of their week. I decided to begin a discussion about their responses to this class when we had our morning meeting one Wednesday. I asked them what they were learning about in science. “The body (almost moaned rather than spoken) ” “That’s such an interesting topic!”, I responded enthusiastically. No! It’s soooo boring!” Well, as we continued this discussion, I was told that they were “learning about the body and bones” mainly through teacher lectures and, that their ‘hands on’ activity’ consisted of cutting out and then pasting together onto another paper, a worksheet reproduction of a human skeleton. I absolutely did not want them to be left thinking that this was what it meant to learn about science so I shared with them a personal memory of the time, just a few years ago, when I fractured my ankle and had a cast put on my leg. This opened up the floodgate for stories about sisters, cousins, aunts and friends who had casts and broken bones, so I asked them if they would be interested in seeing the x-rays that I saved and, of course, there was great interest. The next day I brought in my x-rays and projected them onto the wall. The children were so excited and interested that we moved the overhead projector to an “x-ray center” at Choice Time so that they could look at them more closely and trace them. 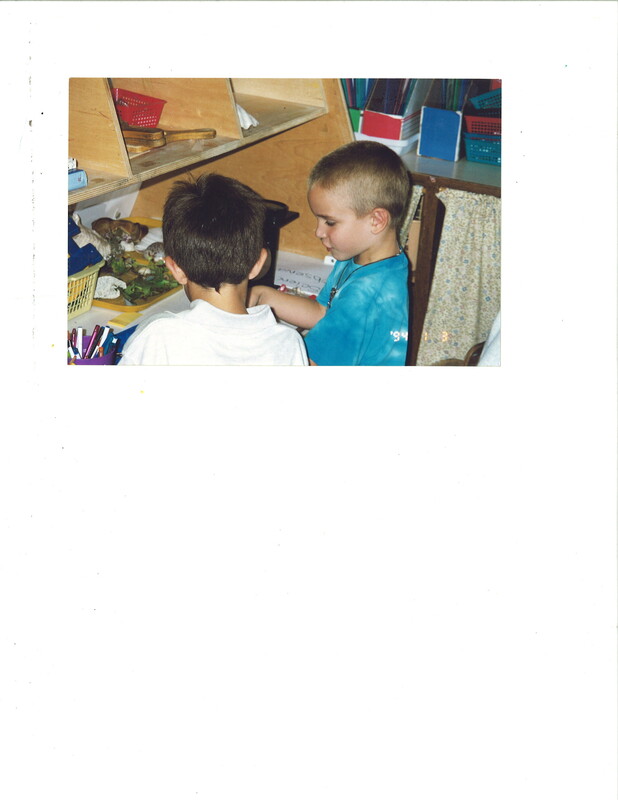 I then began collecting books on anatomy, bones, our body and we began a ‘research’ reading center. This small exploration grew into a full-blown class inquiry study. We collected a variety of (cleaned) animal bones, looked inside a bone, read about healthy foods to make bones strong, visited a local pediatrician’s office, and interviewed the doctor. Creating and opening a doctor’s office in the dramatic play center followed this up. I sent out a request to everyone I knew who worked in a medical office or a hospital and we received lots of contributions from stethoscopes and doctors robes to eye charts and ace bandages. We went to the fish store across from the school and brought back fish bones to observe and draw. These delicate bones were compared to the big beef bones and chicken bones that we had collected. The computer teacher heard about this interest in animal bones and surprised us by visiting the class and bringing with her the skeleton of a snapping turtle! As the children became more ‘expert’ on the topic, we turned the art center into a skeleton-making center. One group of children used papier maché to make a skull. Then, over the course of almost two weeks, our life-sized skeleton was constructed. A variety of recycled materials and plasticine was used. One day, I stopped by to see how the skeleton was progressing. I noticed that wooden craft sticks were used to make the fingers. I looked at the hands and then looked at my hands, bending my fingers. I really didn’t need to do or say anything else. Four ‘skeleton-makers’ began bending their own fingers and an intense discussion began about how they could make their skeleton’s fingers bend. I suggested that they return to one of their ‘research’ books and look at the diagram of a hand. Revision! My help was enlisted to break the sticks into three parts and they were once again pasted onto the mural paper. After the skeleton was completed, the parts of the body were labeled. A group of children surveyed the class to come up with a name, which was written next to the model. Our Mr. 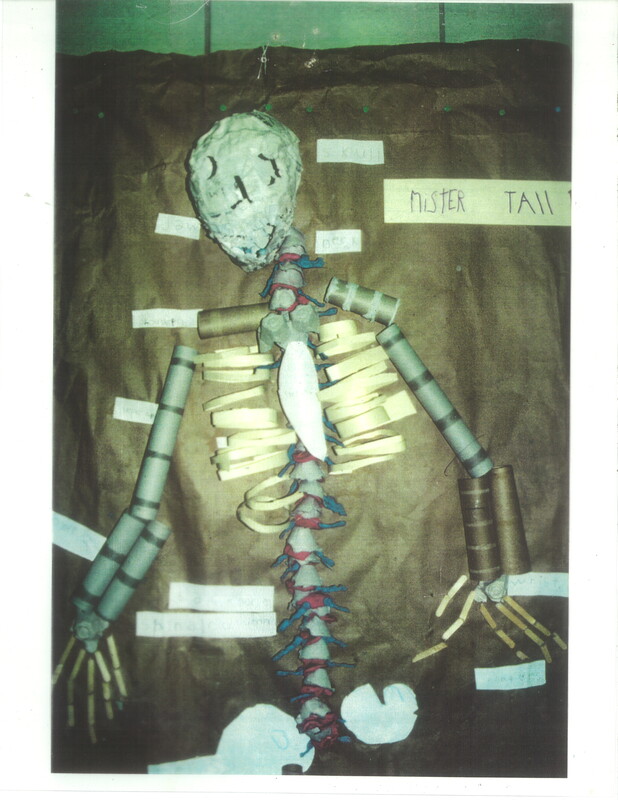 Tall Bones was then displayed in the hallway outside the classroom along with their sketches and descriptions. We celebrated by making Bone Soup. This became one of those serendipitous studies, unexpected but meeting the immediate needs and interests of the children. 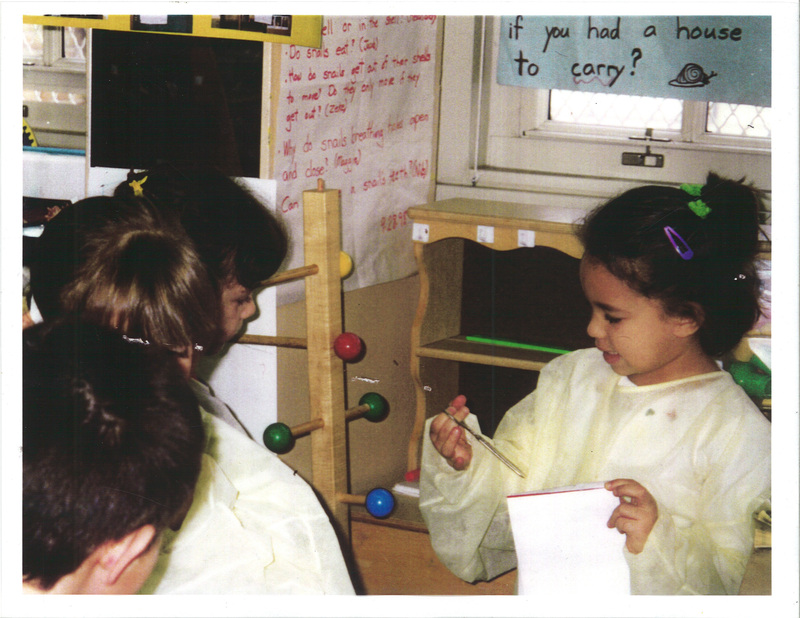 In the course of this mini study, children had many reasons and opportunities to write, count, use nonfiction books as ‘research’ sources, listen to read aloud texts, sing (…the neck bone’s connected to the shoulder bone…), play in the dramatic play center, and use ‘primary’ materials such as x-rays, bones and doctor’s tools. They even spontaneously created a huge, flat skeleton using the wooden unit blocks. What pleased me most about this study and the centers that accompanied it is that the children were developing an excited and positive attitude about themselves as young scientists. They were, as Ronald Reagan recalled, taking part in “the process of exploration and discovery” as they expanded their own horizons. This entry was posted in Investigating Choice Time: Inquiry, Exploration, and Play and tagged bones, Ronald Reagan, science education, science fair on February 13, 2011 by Renee. Wonderful teaching and learning here! So many different ways to look at these experiences. First – You call it seredipitous. True: it was an unknown path for the children AND for the teacher. The spirit of discovery and exploration was not only theirs, it was yours too; you were willing to see where the flood of interest in broken bones might lead. Next – the central role of the teacher is clear – neither directing the end results, nor just watching and waiting. It’s worth reading and re-reading the section on the teacher looking at the craft stick fingers of the skeleton model, then bending her own fingers – followed by the children bending their fingers, and animatedly discussing what they now see as a problem. Renee’s role also makes clear the importance of teachers having a solid grasp of the subject content. Last – Renee writes that the children developed positive attitudes about themselves as “young scientists.” The study also, to my mind, probably strengthened their sense of themselves as strong thoughtful people. Some educators make it seem as if teachers have to choose between developing children’s “self-esteem” and pushing for competence and skill acquisition. This study shows that the choice is false: through their study – through their looking, talking, deciding, making – they gained knowledge AND saw themselves as competent and knowledgeable. It takes a special teacher to encourage creativity without pushing the end result, to remain in the shadow and gently guide them in their development, to provide resources to encourage their growth. Teachers play such an important role in shaping a child! I really can’t add anything more. This is a wonderful description of an activity that is in many ways led by the children themselves, but as stated above, guided by an oh so skillful teacher. Thank you for sharing! Thank you Joan. I think that there’s a wealth of knowledge that teachers should be sharing with each other, don’t you?